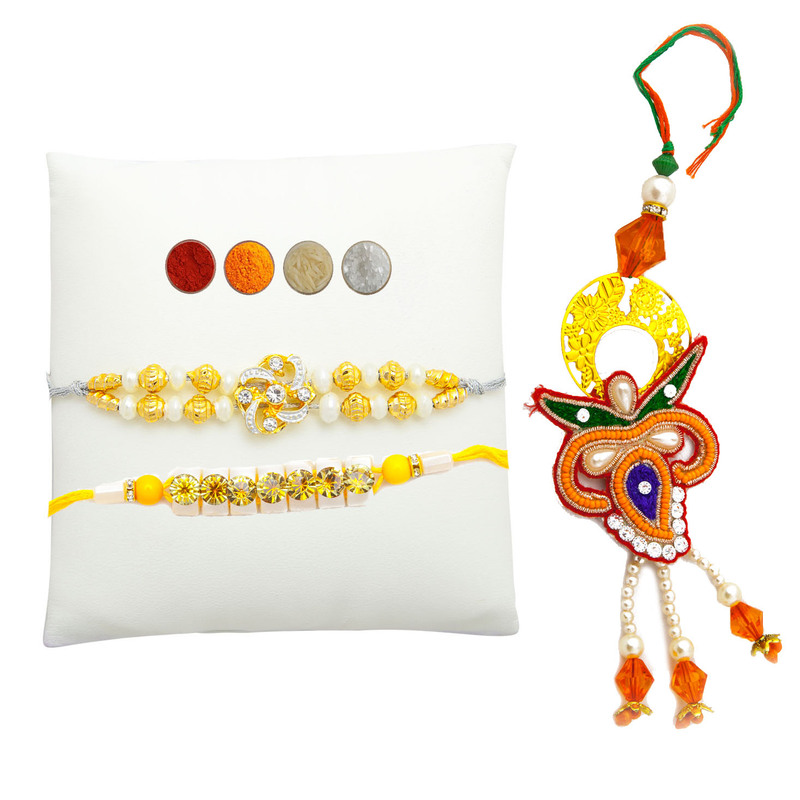 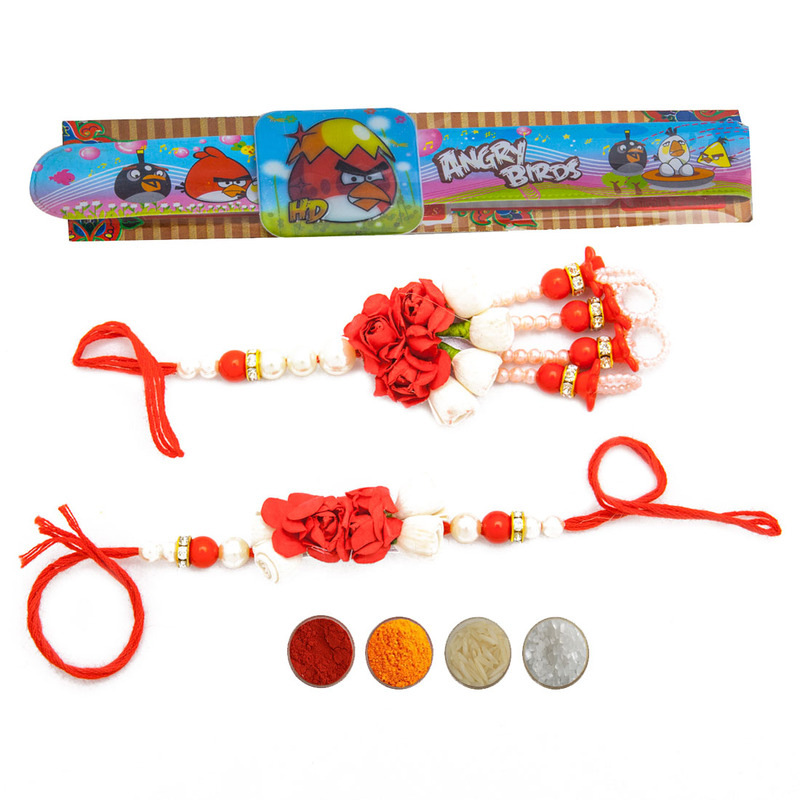 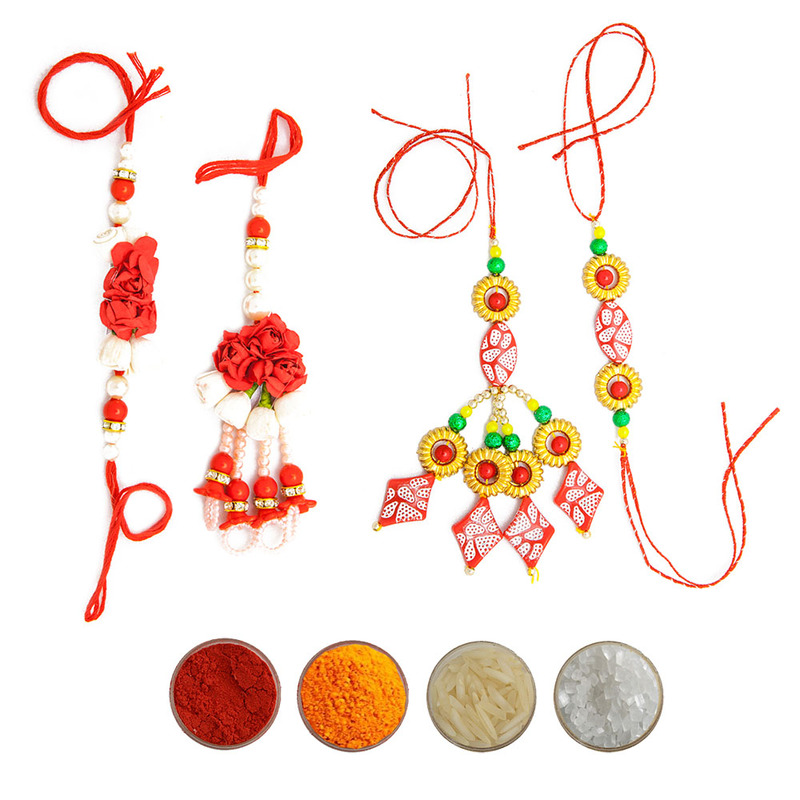 Elite Handicrafts presents this precious family rakhi set of three that is perfect for your Bhaiya, Bhabhi and kids. 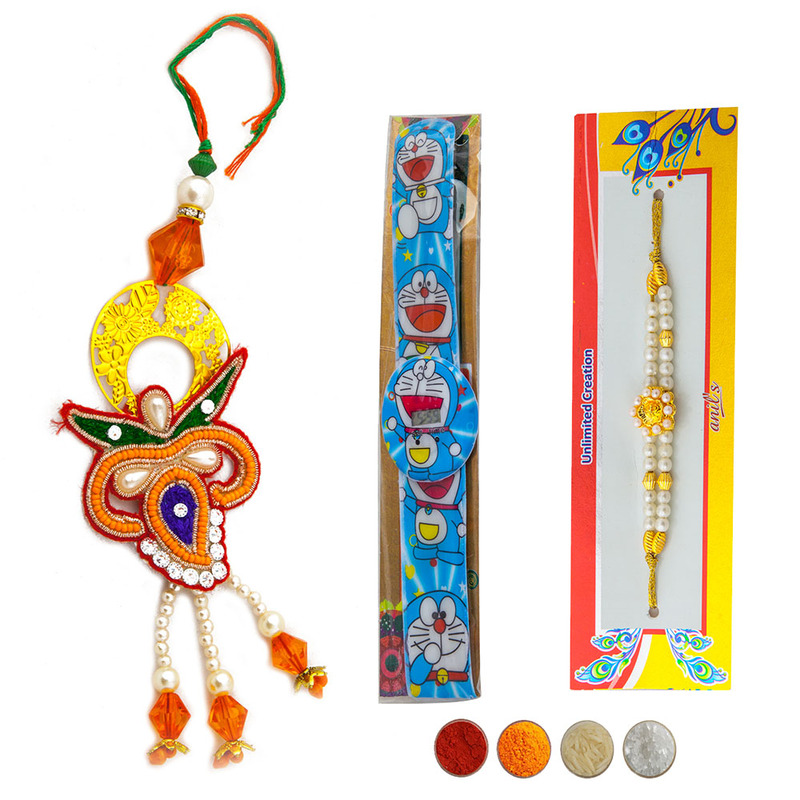 The set consist of a beautiful Bhaiya rakhi with a peacock dial that is entwined with colorful beads and chandan beads. 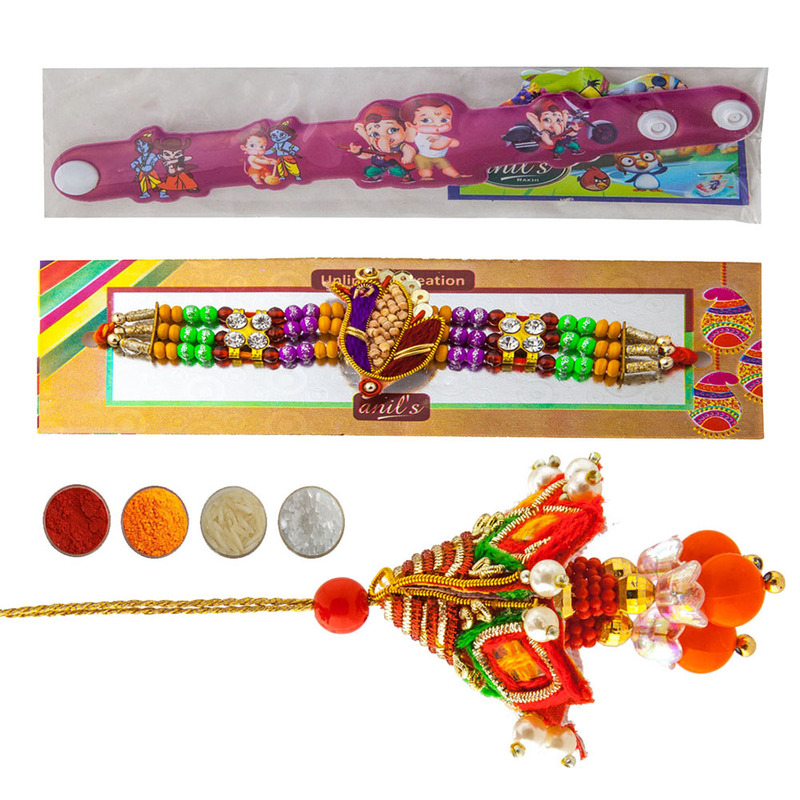 One lumba rakhi for Bhabhi and one Bal Ganesha kid’s rakhi with complimentary roli tika, chandan, mishri and akshat.